The 2nd part of Ben's TRANS//LATION 3 project sees him celebrate his successful career in Japan with a selection of J-pop covers incluing Namie Amuro, Daichi Miura and Ayumi Hamasaki. TRANS//LATION 3 is finally here, the highly anticipated sequel covers album from Bentley. The 3rd sequel album kicks off on the artist’s 30th birthday – the 6th anniversary of his first TRANS//LATION album – and will be released in 3 main chapters, each one with its own individual theme reflecting on a specific part of Bentley’s career. 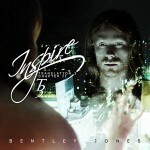 “Inspire (Chapter II)” is a selection of J-pop songs that have chronicled Bentley’s extensive work and success in Japan.